At first glance, it was a little difficult to discern what the tour pros possessed that the better players I’ve played with don’t have. I have heard interviews with professional golfers and writers over the years that say that when Ben Hogan hit a golf ball, it made a different sound than when anyone else hit the ball. 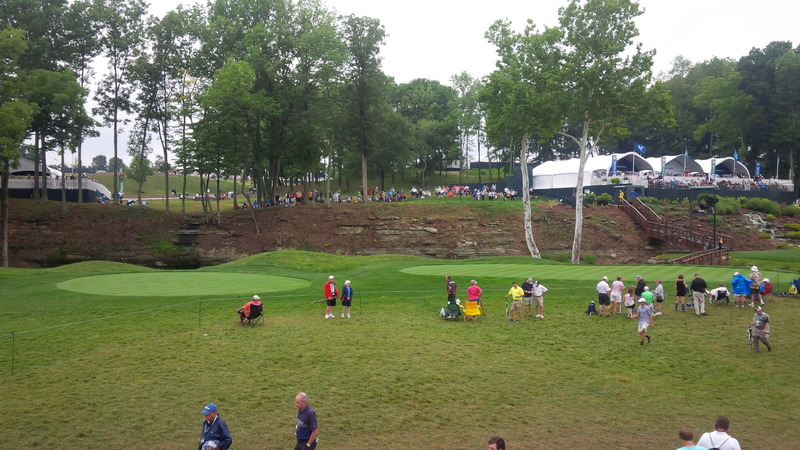 So, as I approached the 17th fairway at Valhalla to begin my PGA Championship experience, I expected to be shocked and awed as I watched tour professionals hit the ball for the first time. Then a funny thing happened. The pro’s swings didn’t look or sound any different than what I would expect to see and hear at a practice range stocked with a bunch of scratch golfers or local PGA professionals. The first group of golfers I saw included Charlie Hoffman, a notoriously long hitter of the golf ball. 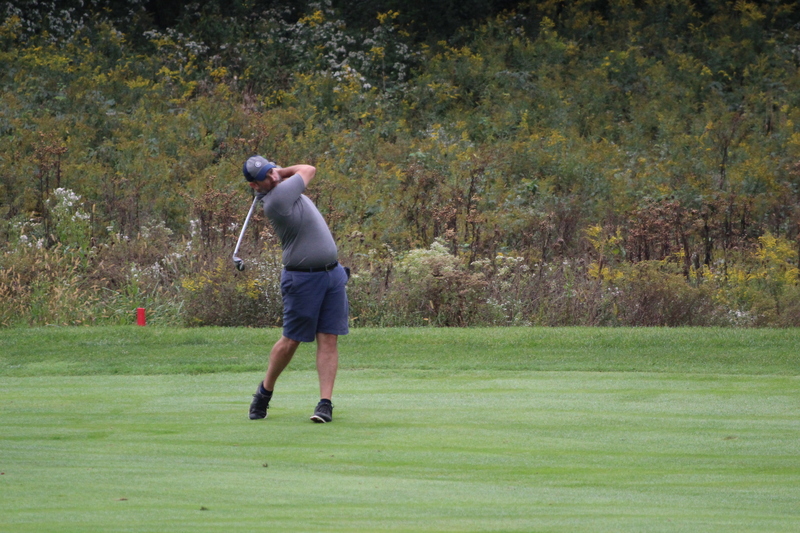 His tempo, swing length, and turn back and through the ball looked…well…normal. 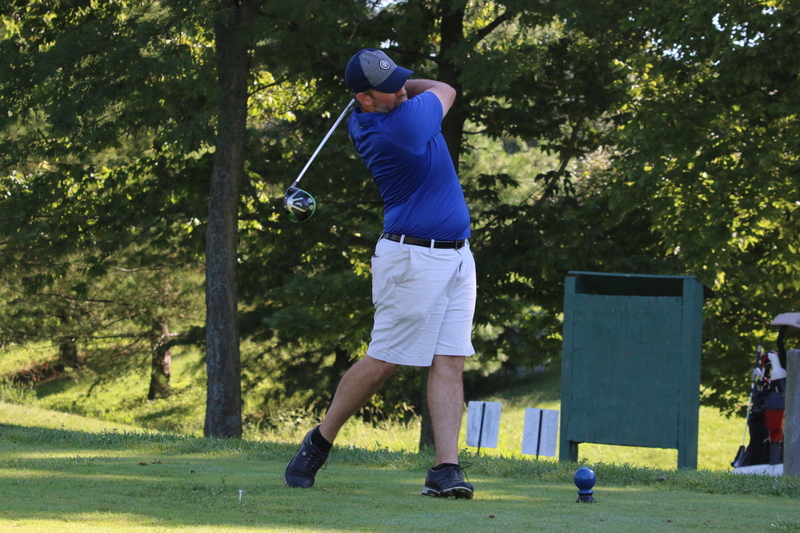 Yet he was able to hit the ball incredibly high and remarkably far with a swing that didn’t altogether that different from what I would expect to see from one of the club professionals I worked for during my college days. That, perhaps, was the real shock and awe that I took away from watching the tour professionals in person; these guys generated tremendous power and distance with swings that, to the naked eye, appeared to be almost effortless. The natural amphitheaters at Valhalla are a real treat for the fans. There was no trick, no black magic, no knowledge gleaned from a look behind the curtain that the professionals were privy to that we mere mortals could never comprehend. They just made a great, smooth, powerful swing and hit the ball with the center of the clubface. Dead center, every time. One of the really nice qualities of Valhalla is how close I could get to the golfers as they prepared for and executed their shots. I could clearly hear and decipher what many of the players were discussing with their caddy. (Author’s note: I will never understand how anyone could be so precise with their irons as to be able to differentiate how 154 yards feels different from 151 yards). It was so rare that the professionals hit a “bad” miss that when a ball was errant, it drew a huge reaction from the galleries. 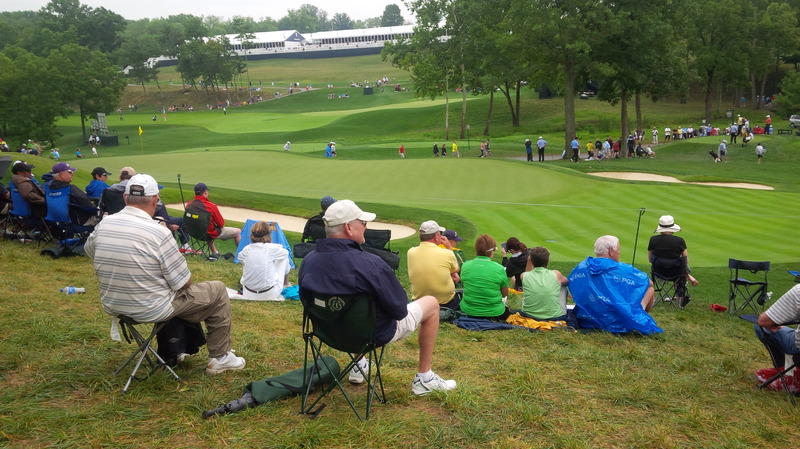 I’ve never attended a professional Tour event anywhere else, so maybe it’s the same at every tournament, but I was able to experience some incredible vantage points, especially around the tee boxes. As I watched Cameron Tringale pull a hybrid and take a few practice swings before going for the 16th green from the first cut of rough, I couldn’t help but notice the prominent shiny, slightly balding spot in the middle of his club’s face. Likewise, as I watched Brian Stuard, Brendon Todd, and Pablo Larrazabal tee off with less than driver on the short par 4 13th hole, I could clearly see a well-worn circle the size of a dime or a nickel located perfectly in the exact center of their respective club faces. Though he didn’t stick around for the weekend, it was really fun to watch John Daly do his thing at Valhalla. Almost all of the professionals I saw that Friday with my amateur-fan eyes had incredibly smooth, seemingly effortless swings. Of course, there were notable exceptions. Even after 48+ years of hard living, John Daly still takes a wicked hack at the ball. 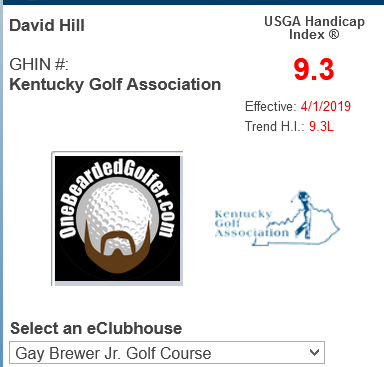 It’s easy to understand how Long John generates all that clubhead speed and hits the ball so far; he swings really #@*^ing hard! The platinum blond mullet, ever-present cigarette, and crazy-patterned pants aren’t the only things that make Daly stand out in the crowd; his swing was longer, quicker, and faster than anyone else I saw at Valhalla. 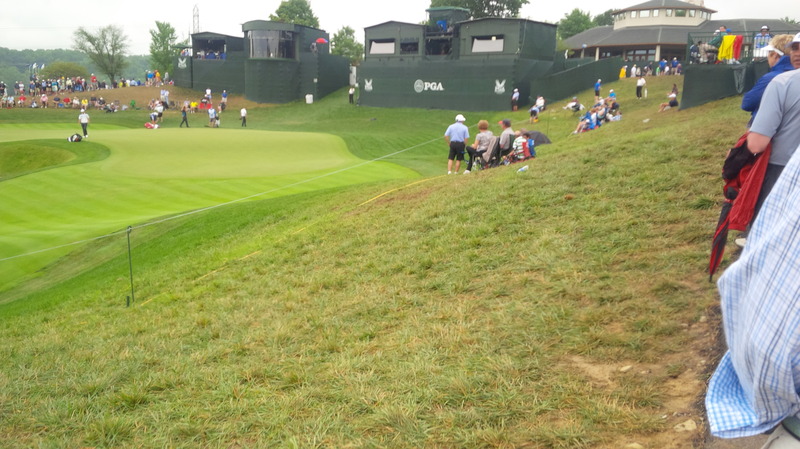 Which brings me to something I was actually a little surprised by, just how many tour pros and caddies smoke. 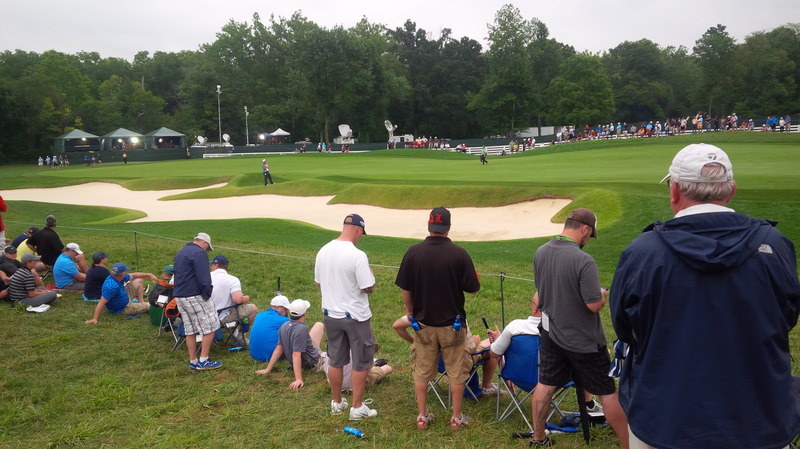 For guys that have to walk seven or eight miles a day at the office, there was a larger than expected contingent of serious smokers inside the ropes at the PGA Championship. This was close enough to tell who was who, as if the mob following the marquee groups left any doubt. As I made my way around the grounds at Valhalla, I got to watch three-quarters of the field play at least two shots. The only golfers I didn’t get to see in person that I’m sorry I missed were the glamor group of Rory McIlroy, Martin Kaymer, and Bubba Watson. Given how well they’re hitting the ball this year, it would have been fun to see and hear those guys really go after one on the tee box. Perhaps the ball might have sounded different coming off their clubs. Which might have been funny to me in the case of Rory or Kaymer, because I was surprised at the physical variety and disparity between some of the golfers. Ernie Els is a giant. Kevin Stadler isn’t really that big, the camera adds at least 20 pounds (I’m from Kentucky, obesity is kind of a big thing here). The waterfall next to the 14th tee and behind the 13th green were popular spots to get an up close and personal view of the pros. And Rickie Fowler is tiny, which makes how hard he hits the ball all the more impressive. I’m 5′ 9″ and 185 pounds on a good day, and I towered over Fowler as he passed next to me from the 9th tee to the fairway. Finally, standing between the first and ninth fairways, I had the moment I can tell my grandchildren about some day. I got to see Phil Mickelson, Padraig Harrington, and Tiger Woods play a golf hole. Sure, Tiger on that Friday at Valhalla wasn’t the same Tiger who won there in 2000, but he was still Tiger Woods. Seeing him in a pairing with Mickelson was revealing, because Phil is every bit as lanky and gangly as he appears on television. Maybe it was because he was 4 over for the day and 7 over for the tournament at the time, but Tiger seemed small by comparison there on the 9th fairway and on the ninth green. From my roaming perch between the 1st and 9th fairways, I was able to see several marquee groups play one of the more memorable holes of the course. 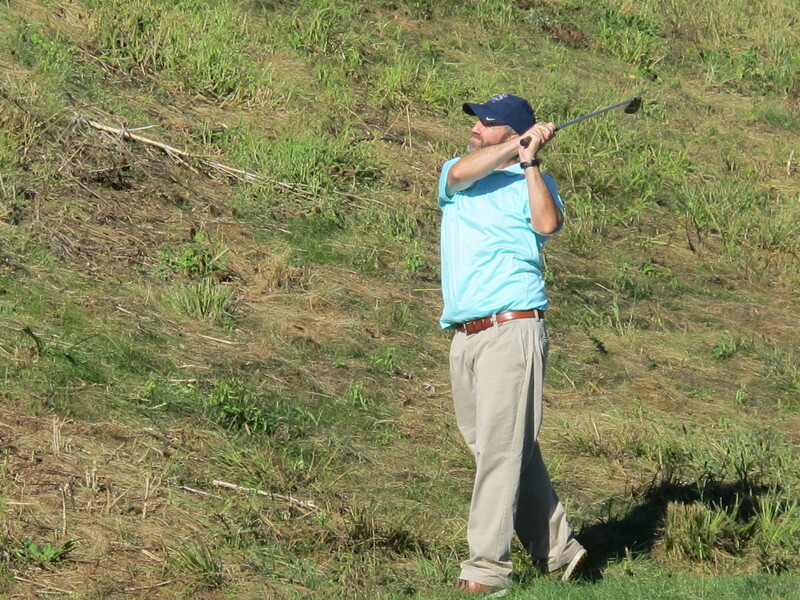 As I trudged to the exits, I was confident in a few things I’d learned at Valhalla that Friday. 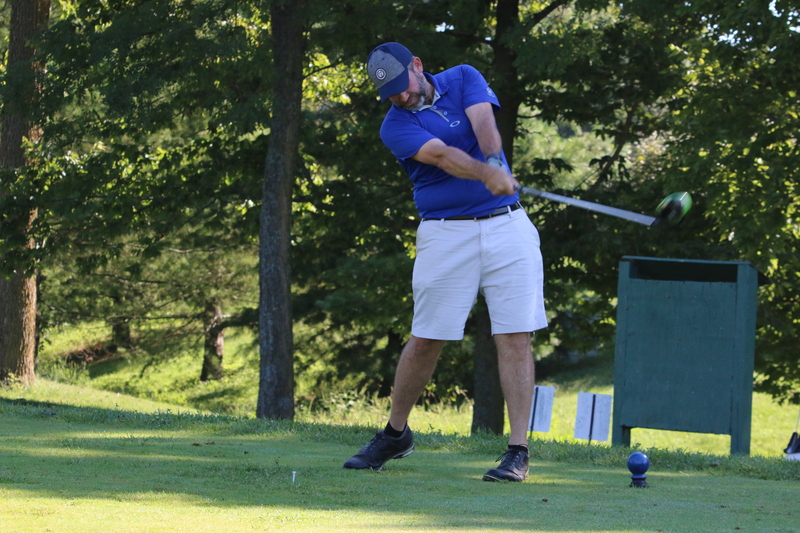 The tour professionals are incredible golfers, because I’m certain I might have shot 150 or higher on the course as it was set up that day. So, I’m going to have to re-figure that “Maybe I can make the Senior Tour” retirement strategy. However, as exceptional as they are, the PGA Tour pros do actually play the same game I play; the game of golf. Sure, they hit the ball a lot further than I do, but not so much that seeing it in person was mind blowing. I’ve seen Roger Clemens, Pedro Martinez, and Albert Pujols play baseball in person. I recognized pretty quickly that they played a game of baseball with which I was unfamiliar. 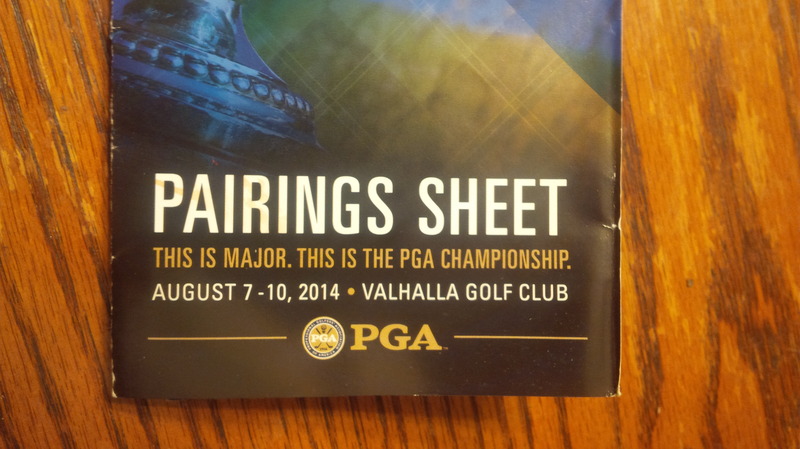 With so many golfers on the course on Friday, the pairing sheet was my most valuable possession. Perhaps if I’d seen Tiger in his prime, or gotten to see Rory play his Sunday round, I would have experienced that Hogan-esque moment. 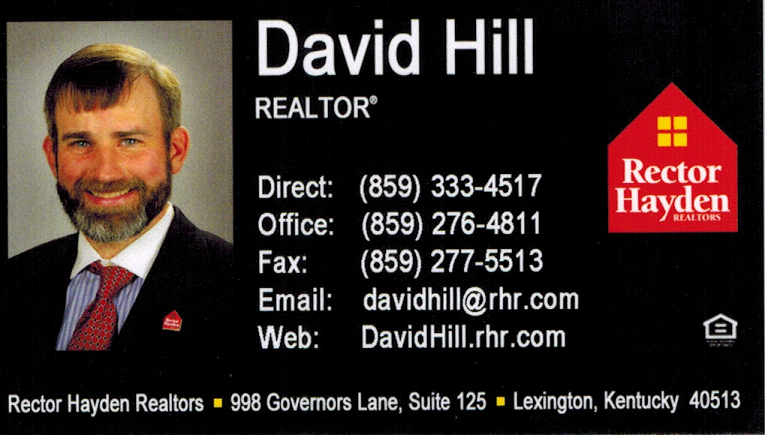 Nonetheless, Dear Readers, if you have the opportunity to attend a professional golf tournament, I highly recommend it. It’s amazing to see what those guys can do with a golf ball. Thanks for the very interesting insights from inside the ropes. Awesome, your description is like I was there! Thanks! Thanks Jim, that’s incredibly kind of you to write.